Are you looking for the most reliable NYC garage doors services? Advanced Door has the knowledge and experience to provide the best job for the best price. Whether it is a Manhattan garage door or a Hudson County NJ Garage door project, Advanced door is ready to handle any project you have in mind. This includes both residential and commercial services for NYC garage doors. Advanced Door is dedicated to serving our customer’s needs, and our goal is 100% customer satisfaction. We strive to bring you the best in quality service. If something isn’t right, please let us know. Advanced Door has been family owned and operated since 1998. They began in a small garage with just 1 employee and have grown to a 2400 square foot office/warehouse with a separate offsite 30,000 square foot fabrication facility. They provide the finest products and services in the overhead garage door industry, and are “The Professional Garage Door Company”. One of the ways we like to help the community is to provide free information in our NYC Garage Doors blog. Are you interested in Chelsea Overhead Garage Doors? Adding a garage door to your business can change everything. Not only do they look great, but the add unparalleled functionality and convenience. The question becomes: how do you know which type of garage door to select for your business. We’ve put together this helpful guide to assist you in your decision making. Commercial rolling doors are appropriate in environments that require maximum durability and security. Rolling doors are able to fit in tight spaces not appropriate for sectional doors, because of minimal backroom, headroom and side room requirements. These are constructed of interlocking slats that wind around a barrel, the rolling door family includes service doors and counter shutters. Security grilles also fit into this category. Similar in construction to a rolling service door, traffic doors have a high-strength fabric, rather than a metal, curtain. This is very convenient because it allows for doors to move faster, which make them ideal for high cycle applications. Now if contact is made with the door forcing it out of its guides, it is easily replaced without a service call. These garage doors are appropriate when thermal efficiency and security are a concern, where window space is desired for light or visibility, or simply for aesthetic reasons. Sectional garage doors also operate quietly and generate little noise in windy applications. Depending on the application they require significant backroom or headroom. Featuring similar construction characteristics as rolling doors, commercial fire doors are specified in facilities that require a listed fire door in a rated fire wall. Fire doors are normally provided with fusible links that automatically release to close the door at 165 F. Smoke and heat detectors or a building’s alarm system can also trigger the door’s descent. The fire door family includes both service doors and counter shutters. 1. Installation – Are you just looking to get new Chelsea commercial garage doors installed? Advanced Door will work with you to find the perfect model and style to fit your business. This can be a major decision that has a large effect on the workings of your business and they want to make sure it’s done right. 2. 24/7 Emergency Services – No matter how hard you work to keep your garage doors in peak condition, emergencies happen. There’s no way you can really plan or prepare for them, but when disaster strikes you want to make sure you can get things back up and running in no time. Advanced Door will be there to make sure that your business suffers as little downtime as possible with our 24/7 emergency service coverage. 3. Maintenance – The best thing you can do to try and prevent yourself from getting into a emergency situation is scheduling maintenance. We’ll make sure your Chelsea commercial garage doors are in perfect order and working like they should be. We’ll also work with your schedule to ensure that we don’t cause any downtime for your business. With Chelsea commercial garage doors, you must consider durability and strength. Considering that the typical home puts their garage door through an open and close cycle just two to four times per day, that’s roughly 1,000 to 1,500 times per year. With a business, it could be twice or three times that. That doesn’t even count the amount of activity that goes on around commercial garage doors with loading and unloading inventory. Contact us for any questions regarding your Chelsea commercial garage doors! Photo eyes are there to keep the garage door from closing if an object passes through the infrared beams. If the alignment is thrown off, it may cause your garage door to not close. This is why Photo-eyes need to be lined up correctly. Also, if the lens on one or both of the photo eyes is dirty, this can also cause your commercial garage door to not operate correctly. In both of these scenarios, your door system assumes that there is an obstruction in the door. If your photo eye is flashing that means an obstruction is in the path of the door. If this is the case, clean the debris and adjust the photo-eye until the indicator light is no longer flashing. A spring provides tension to help your garage door opener lift your commercial garage door. This is an issue you can usually diagnose without a problem. Springs are typically directly above the garage door near the wall. It’s important to note that if you have two springs on your garage door, you’ll most likely need to have both springs replaced.​ Do not attempt to repair or replace a spring on your own, call a professional commercial garage door repair company​. Another thing to check is the remote control to your garage door. If it’s only one garage door remote that doesn’t work correctly, your remote may just need a new battery. If you replace the battery in the remote and it still doesn’t work, give a manhattan commercial garage door company a call to diagnose the problem. Unless your commercial garage door is more than 10 years old, a new garage door opener is typically not needed. There can be a couple of reasons why your garage door is noisy. This issue can sometimes be fixed with a manufacturer recommended lubricant. Hinges, rollers and springs should be lubricated regularly to keep these parts running correctly for longer. If this isn’t the issue then contact your Manhattan Commercial Garage Doors company to assist you with diagnosing the issue as you may need a replacement part for your garage door system. We provide Emergency service 24hours a day for your Manhattan Commercial Garage Doors. We can provide a complete preventative maintenance program, we can perform our maintenance when you are available as to alleviate interference with your operations, and we can identify problems prior to a complete breakdown. Contact us today!! Buying garage doors for your business? There are many things to consider when deciding which commercial garage door is right for your company. While some may simply use the same garage doors as home owners, many choose models made for business needs. This is why its important that you do your research when choosing your Brooklyn commercial garage doors. 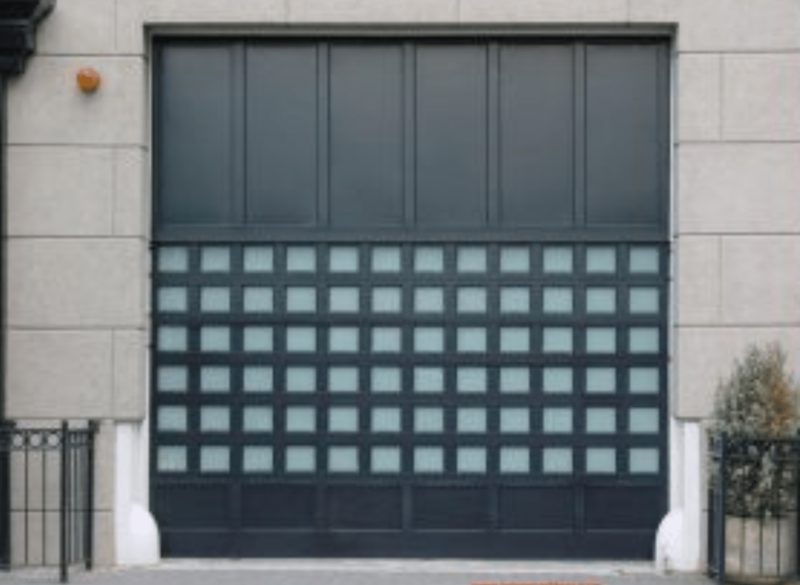 What should I look for when buying Brooklyn Commercial Garage Doors? Many businesses will emphasize on security or just on toughness. Steel doors are a popular choice. Storage companies, for example, needing to protect stored valuables will put a premium on the security factor. You may even consider adding a security grille if in a high-crime zone. Never the less you will want to also consider is a lock. 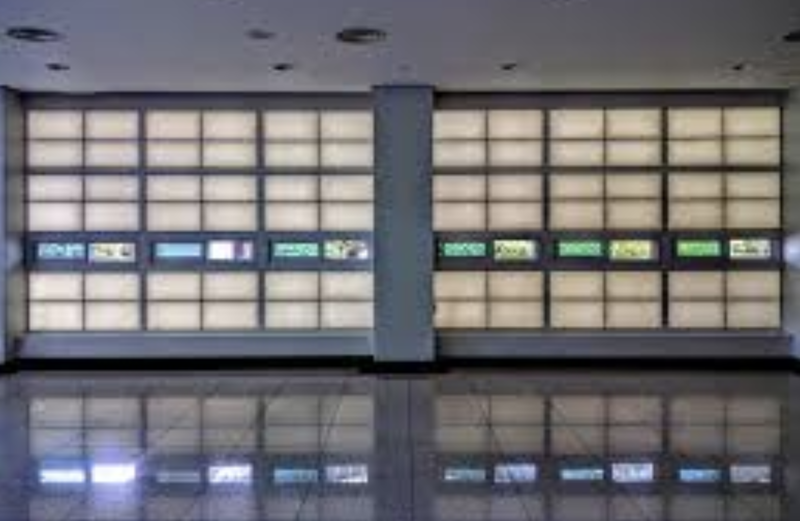 You will notice some commercial garage doors have glass sections in them large or small. Many of these doors utilize aluminum for the frames. If being able to see and the passing through of light is a high priority, these doors may be right for you. 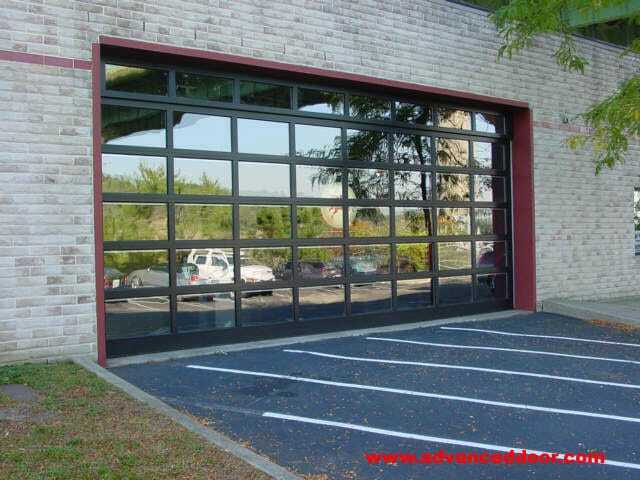 Fire houses and car dealerships will often use such doors as this. Other Brooklyn commercial garage doors are insulated. Foam or other material is built into the door so that it keeps the heat in and keeps the noise out. If there is constant noise outside of your garage or if you would like to reduce heating costs, think about an insulated sectional roller, foam-filled sectional or other insulated Brooklyn commercial garage doors. An advanced service, high cycle door can be an option for a business whose door is often opening and closing. An auto mechanic’s shop door or high volume exit and entry ports at factories might consider this option. And of course there is the aesthetic factor. Some garage doors are beautiful to see. Store front garages might be a prime candidate for the doors with bright or deep colors and intricate interesting patterns on their faces. Take a look at our portfolio here! With all the variety to choose from, there are still some basics that apply to all shopping for Brooklyn commercial garage doors. It is very important that you have the correct measurements for your door. You will avoid headaches like your door does not fit or the space to put the door is an awkward space. Make sure the company you deal with has expertise in installing commercial garage doors and check on what kind of warrantees they offer. Do not forget to ask about the cost and availability of replacement parts. Finally, do ask for safety advice. We offer 24hour Emergency Service, Preventative Maintenance, Standard On-Call Service, Springs, Cables, Pulleys and Rollers, Electric Operator Repairs, New and/or Replacement Doors!! 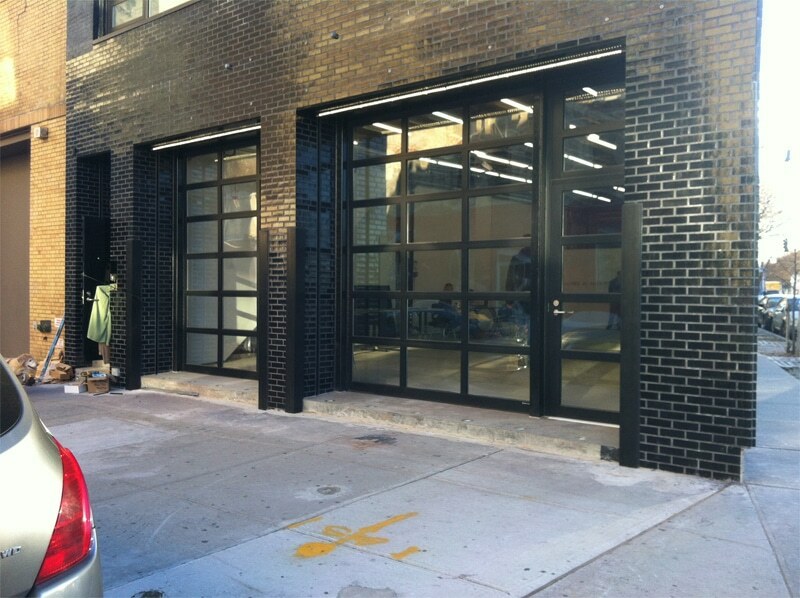 Contact us today to purchase your Brooklyn Commercial Garage Doors!! Manhattan Overhead Doors can add a lot to any home or business in the Manhattan area. Not only do they function conveniently, but they also add curb appeal with their sleek designs and modern finish. When it comers to Manhattan Overhead Doors, there are many different different options to choose from. The perfect overhead door is out there just waiting to be found by you. Below, we’re going to be looking at some of the many benefits of Manhattan Overhead Doors. Insulation – Anyone who has gone out into the garage during the summer or winter knows the extreme temperatures. Many garages are not well and therefore are either very hot in the summer or very cold in the winter. By choosing Manhattan overhead garage doors you can cut down on the temperature extremes. During the winter, your garage may be up to 20 degrees warmer! Quiet – Manhattan overhead garage doors are known to be a little bit quieter than other doors. This means you can open them early in the morning or close them late at night without waking everyone inside. For many, the option of a quieter garage door may be very appealing. It all depends on your space and preference. Resilience – Garage doors can go through a lot during their lifespans. Whether they’re being hit by things or just going through the motions of opening and closing, they can get worn down pretty well. The insulation on Manhattan overhead garage doors can help to make your doors more resilient. They will be able to withstand more impacts and normal wear and tear a bit better than garage doors that are un. Styles – There are many different styles that you can choose for your Manhattan overhead garage doors. There are several types of material from steel to wood as well as different colors and designs. You can choose from many options to create the perfect aesthetic for your space. Are You In The Market For Manhattan Overhead Doors? If you’re interested in Manhattan Overhead Doors, look no further than Advanced Door. For 20 years, advanced door has been providing Manhattan residents with the highest quality overhead doors and garage door related products. The family owned and operated company had a humble beginning in a small garage with just 1 employee. Since that time, they have grown to a 2400 square foot office/warehouse with a separate offsite 30,000 square foot fabrication facility. Advanced Door is dedicated to providing 100% customer satisfaction. For more information about their products or services, call (973)579-0043 or visit the website. Glass garage doors often add an elevated element of beauty and modernity to your commercial business, and are one style that should be considered. Of course, with the beauty comes some not so easy things about owning a glass door. Overall, having Manhattan glass garage doors will add a great deal of beauty and modernity to your building’s aesthetic. However, there are major cons to glass doors, such as extra expenses and harder repairs- however the tradeoff can definitely be worth it! Do you need Manhattan Glass Garage Doors? 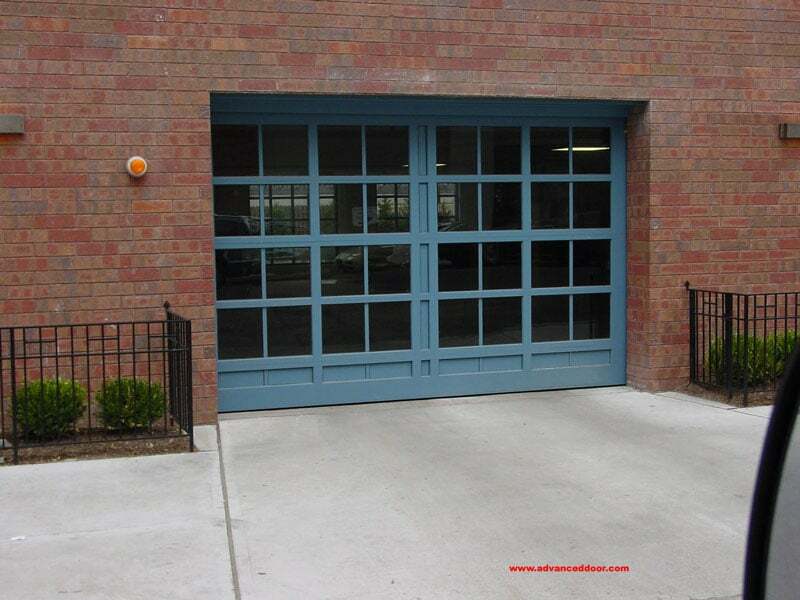 If Manhattan Glass Garage Doors are what you need, contact Advanced Door! Advanced Door is a family owned and operated business that specializes in providing the absolute best garage door parts and materials to ensure that you end up with a superior product. Advanced Door has been serving the New Jersey and New York area for 2 decades and provides the highest quality glass, aluminum and other garage door related products. For information call us today at 973-579-0043 or visit our website!